Laboratory to be opened - Neurological Institute aided by citizens of Montreal, February 23 1923, newspaper clipping. 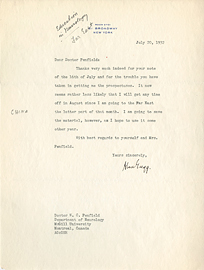 Letter from A.A. Hodgson To Wilder Penfield, July 2 1934. 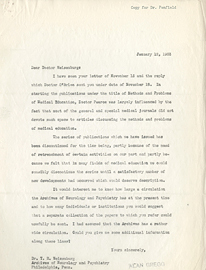 Letter from Alan Gregg to Theodore Weisenburg, January 12, 1933. 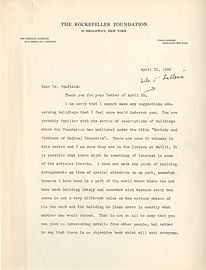 Letter from Alan Gregg to Wilder Penfield April 22, 1932. 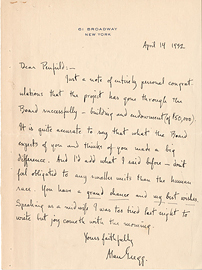 Letter from Alan Gregg to Wilder Penfield, April 14, 1932. 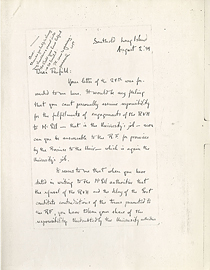 Letter from Alan Gregg to Wilder Penfield, August 2, 1934. 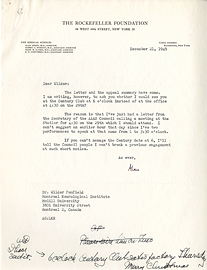 Letter from Alan Gregg to Wilder Penfield, December 21, 1949. 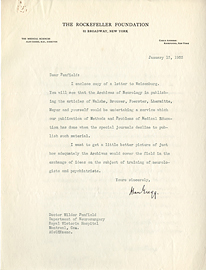 Letter from Alan Gregg to Wilder Penfield, January 13, 1933. 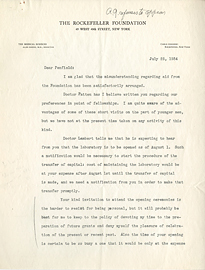 Letter from Alan Gregg to Wilder Penfield, July 20, 1932. 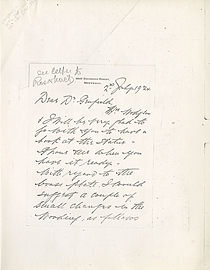 Letter from Alan Gregg to Wilder Penfield, July 25, 1934. 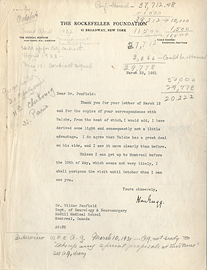 Letter from Alan Gregg to Wilder Penfield, March 23, 1931. 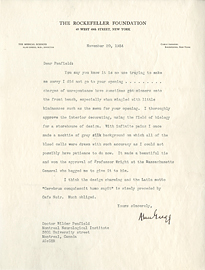 Letter from Alan Gregg to Wilder Penfield, November 20, 1934. 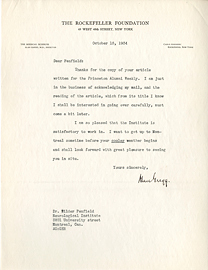 Letter from Alan Gregg to Wilder Penfield, October 15, 1934. 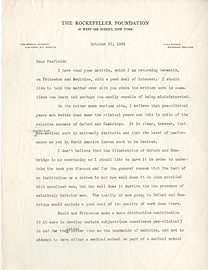 Letter from Alan Gregg to Wilder Penfield, October 30, 1934. 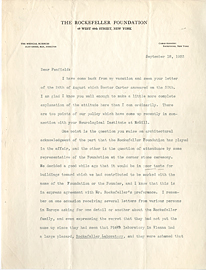 Letter from Alan Gregg to Wilder Penfield, September 18, 1933.